Taimur Ali Khan’s adorable jolly nature attracts us all, isn’t it? Taimur is a not just a star kid, his adorably cute appearance has already made him a big internet sensation. He is also called as the Bollywood’s Chote Nawab. While we all wait to see the latest pictures of cute Taimur, we also see his nanny always with him. Since Taimur was born, this nanny was always in the pictures with the smiling Taimur. It’s true that Kareena Kapoor Khan and Saif Ali Khan often stay busy. That’s why both of them fail to provide a great amount of love and care to their son Taimur. But, this nanny never leaves Taimur alone for even a minute! Are you shocked? Yes! Kareena Kapoor has hired the nanny from a special organization in Juhu which provides lovable and caring nannies for star kids. It’s a dedicated the job of the nanny to take care of Taimur and looking after all his need all the time! Yes! Taimur is a naughty and mischievous kid! But the nanny of Taimur’s whose name is Savitri is as amazing as well. Do you want to know how much Taimur’s nanny’s monthly salary is? 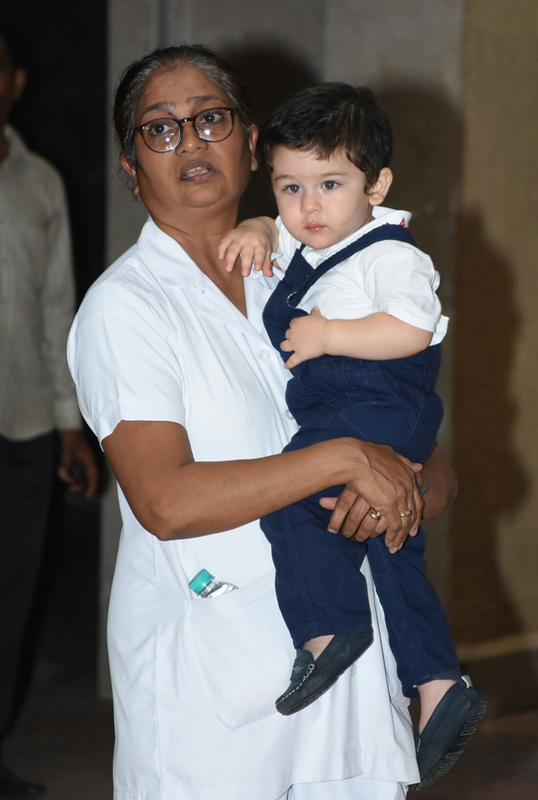 Like we adore Taimur’s innocence, we also love to see him with his nanny. But, do you know that Taimur ‘s monthly salary can give complex to any high-paid professionals like an MBA degree holder, IT professionals, engineers, and even doctors? Taimur’s nanny, Savitri earns around 1.5 lacks per month and this salary can also vary according to the extra hours of work. Yes, you heard it right! She is also paid over-time fees like any other professionals. The salary of Taimur’s nanny has been confirmed by a source. With the extra hour’s pay, her total salary per month is around Rs 1.75 lakh. Also, she has been provided with a car so that she can take Taimur out anytime Taimur wants! Like Taimur, other star kids like Soha Ali Khan’s daughter, Tusshar Kapoor’s son, Karaj Johar’s son etc. also have their own nannies who are also paid as high as Taimur’s nanny. Well, we don’t know about other nannies, we always see Tamiur along with his nanny, Savitri! While Many Are Choosing Online Entertainment Platforms Over Television, Is It The End Of TV Cable Era? Mahatma Gandhi influences the world: Gandhi Jayanti celebrated grandly.